Medway & Maidstone A.C’s final Open meeting of the season took place on Sunday 2nd September. 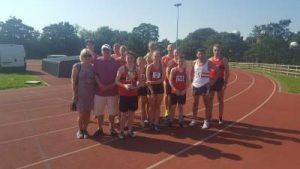 This event also incorporated the annual Chris Newman 1500m handicap where slower athletes start first based on times. In memory of Chris, a lifelong member of M&M and who was a coach to many of our athletes over the years. 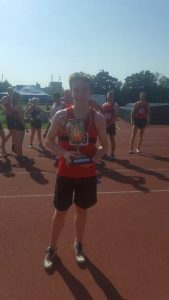 Some of Chris’s family members attended the event and presented the trophy to the winner, U15 athlete Callum Featherstone. The day started with the RJT which saw some fantastic performances from younger athletes. Eight year old Megan Rein finished 2nd in the 600m in 2.08.24. In the 75m Emily Rein was 2nd in her heat in 11.51 and Riley Heathcote finished well in in 11.75. 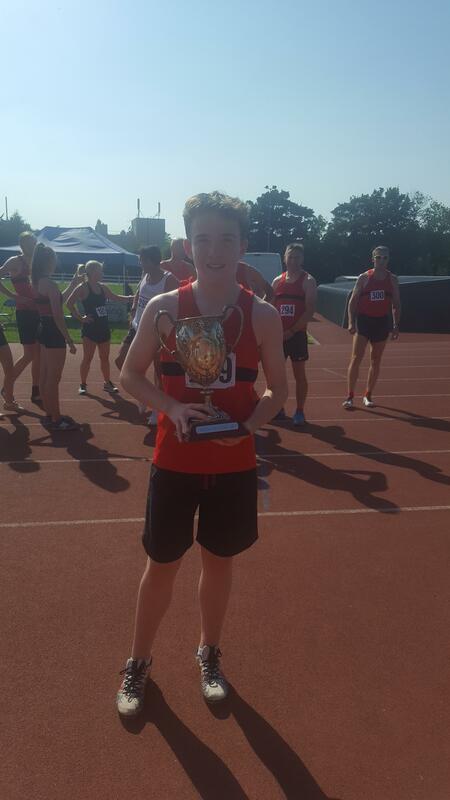 There was a PBs in the High Jump for U13 Grace O’Connell (1.38m), U13 Daniel Hardy in the Shot (10.02m) and U15 Ciara Harrop in the Long Jump (3.46m).